Lyndsee Hairston is a published, award winning hair and make-up artist, graduating from The Paul Mitchell School of Charlotte in 2011. She has been shinning bright in the Charlotte industry with her work for the last 7 years, specializing in pageantry, dance, modeling, fashion, weddings, and photo-shoots. She recently graduated from the Paul Mitchell School on her second awarded scholarship completing her educator training, and is now a licensed Cosmetology Educator for the state of North Carolina. She plans to guide many cosmetology graduates to successful careers and hopes to be on the big stages of hair shows, leading thousands of students, stylists and other educators in the near future. She was formerly Miss American Beauty 2015 National title holder, winning for the state of North Carolina, and continues to use that experience to promote her passions through pageantry. 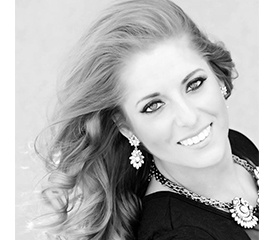 Lyndsee is also involved in semi-pro dance in the Charlotte area, dancing and coaching for several of the sports teams for the last 8 years. She is currently a coach, choreographer, and stylist to the Foxes dancers, a team for the Charlotte Hounds Major League Lacrosse team. All of these experiences and passions have beautifully worked themselves together, leading her to many opportunities to have her work on the runway, as well as her new passion for designing recycled fashionable art. Her journey and love for doing Recyclable dresses began in 2014 when she was asked to design a dress based on her inspiration of a building in Uptown Charlotte, choosing the brand new BB&T Ballpark. The dress was the “Queen of Baseball”, and won best recycled dress that year. Coming back into the scene in 2016, she was asked to design as dress for Opera Carolina, specifically “Madame Butterfly”. Once again, her design won a People’s Choice award for Charlotte Fashion Week. This Fall, both her "Madame Butterfly" and “Cyrano De Bergerac” dresses debuted in Times Square during New York Fashion Week 2017, where she has been inspired to continue to create recycled, wearable art in the near future. She thanks all of the family, friends, and loved ones for continuous support through the years, helping her get to this point and for encouraging her to chase her dreams.